By rendering devotional service unto the Personality of Godhead, Sri Krishna, one immediately acquires causeless knowledge and detachment from the world. 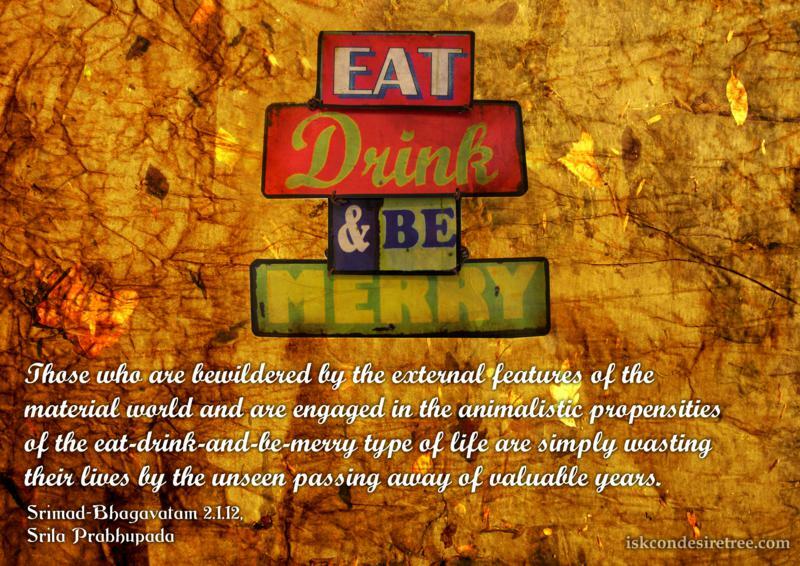 Those who are bewildered by the external features of the material world and are engaged in the animalistic propensities of the eat-drink-and-be-merry type of life are simply wasting their lives by the unseen passing away of valuable years. 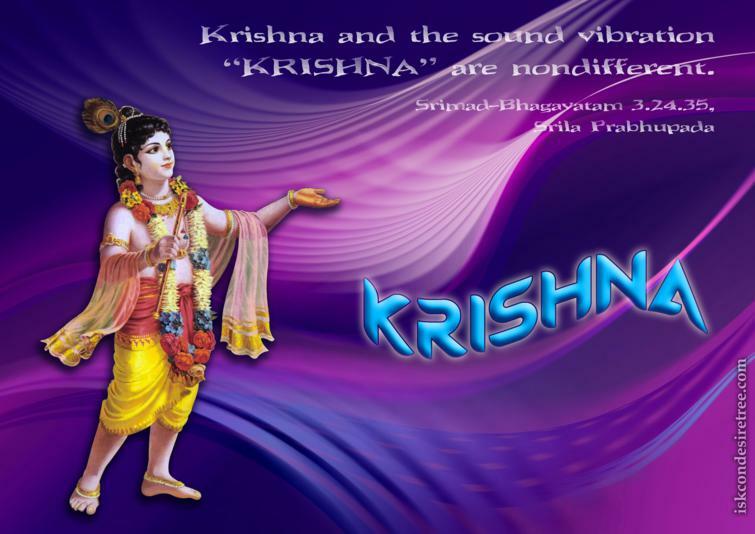 Krishna and the sound vibration “KRISHNA” are non-different.